Single crystal Ni-base superalloys represent key materials for turbine blades in modern gas turbines for aero engines and power plants. International mobility and global energy supply rely on this fascinating class of high temperature materials. The scientific contributions in SFB/Transregio 103 come from different areas of expertise, like materials science and engineering, solid state physics and chemistry, scale bridging materials modeling and processing and manufacturing technology which are in close scientific contact. 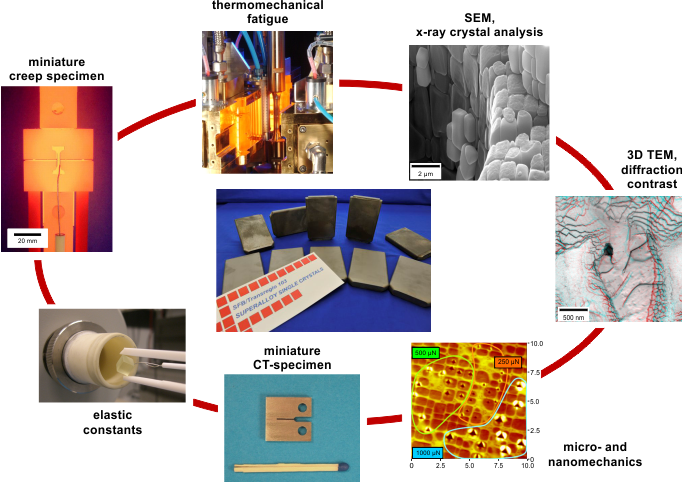 The focus of research in the first 4 year funding period of SFB-Transregio 103 is to clarify open questions related to processing of superalloy single crystals, to the stability of microstructures at high temperatures and to elementary deformation and damage mechanisms.